Included in the transfer agreement is a clause that states that in accepting this generous donation, the city can never attempt to close down the neighboring Venoco processing plant at Haskells Beach. The same processing plant that a lot of Goleta citizens would like to see go away. Evidently this clause was in the deed from back when Ty Warner bought it, and it has carried through. The city would be prohibited from “taking any action to oppose Venoco’s right to operate the facility” if they sign the agreement as it is. This came as a surprise to the majority of councilmembers. They had just received a copy of the agreement a few days before and were still trying to digest all the legalese. Roger Aceves was the lone councilmember ready to accept the offer. How did Mr. Aceves, who has been working with the Warner Group on this for years, not notice this clause? And if he did, didn’t he know it would be a problem for the councilmembers, and the citizens, to swallow? The whole situation smells fishy. Supposedly, the staff received this document months ago, but it was not presented to the councilmembers until last Thursday. Five days before they were supposed to accept it! Additionally, city staff, whose job it is to keep the councilmembers informed, made no mention of the clause beforehand, even though it is common knowledge and on the public record that they have discussed the closure of the Venoco plant in the recent past. Wouldn’t that be something worth mentioning before putting it to vote? Besides that clause, there is another that states the responsibility of the soil cleanup will be all on the city. Old gas stations are usually contaminants of soil, and if so, the question of cleanup costs will have to be considered. This was really not a surprise, but the council wanted at least an idea of what they’re getting into here, and city staff had little or no info on that. They did know it had been declared “contaminant free” 20 years ago, but the testing process has changed and it may not pass by todays standards. The city staff also admitted that no one on staff was expert enough to thoroughly review the 800 page report. A more recent report will be required. The city attorney Tim Giles seemed somewhat confused by council’s multitude of questions about the agreement. And when the council made it clear that they weren’t just going to sign this document as is, Giles produced a revised version and expected that they might sign that one! No one had seen this new document before, and its sudden appearance only served to push the council further from taking any action without more research. Several citizens spoke before the council and all but one asked that they don’t sign the agreement as is. Aceves warned his colleagues that Mr. Warner might withdraw his donation offer if they didn’t sign on immediately, but the other four council members could not sign without better information, further research and due diligence. The councilmembers made it very clear, they all want to save this historic jewel, but signing Goleta into this binding agreement would be unwise. At least without further clarification of the clauses in question. Too much new information had been brought to light at the last minute and city staff seemed to drop the ball on this project. The council sent it back to the city attorney, asked for a second opinion and more information. Of course, this is disappointing to all of us, but this gift horse looked more like a Trojan horse to some. 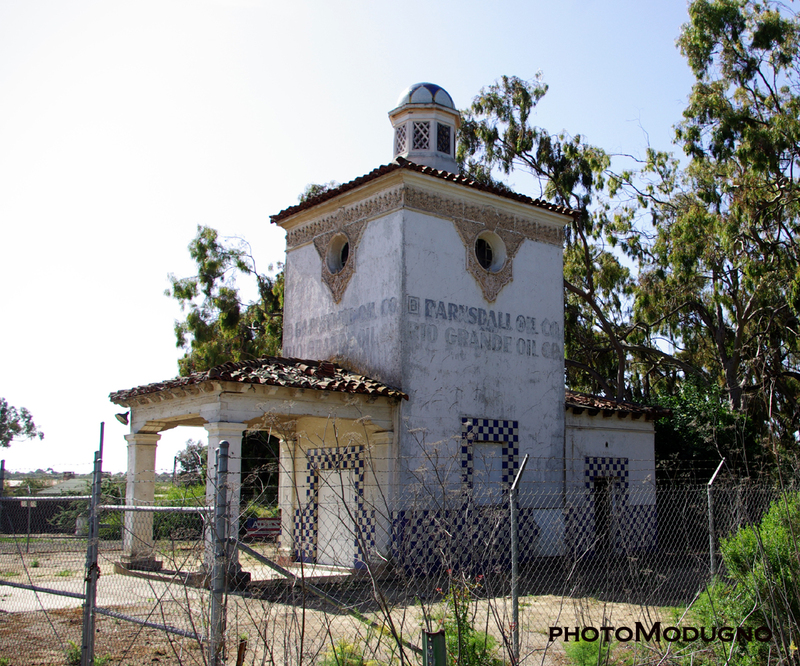 Hopefully, the city can get this all ironed out, in a TIMELY MANNER, and move forward with the preservation of the Barnsdall filling station. If not, maybe just buying the building and moving it over to Los Carneros Road would become an option? It worked for our train station…..
To stay up to date on this ongoing saga, sign up for The Goodland Coalition newsletter. Also you can get notifications of upcoming meetings from the city of Goleta.